Molly and Corbin’s story began at a Clemson dive bar, Loose Change, where the two found a mutual interest in golf. After taking a break from dating after college, Molly, a Charleston native, and Corbin, of Greenville, found each other again, leading to a sunset proposal on their weekly Tuesday date night. 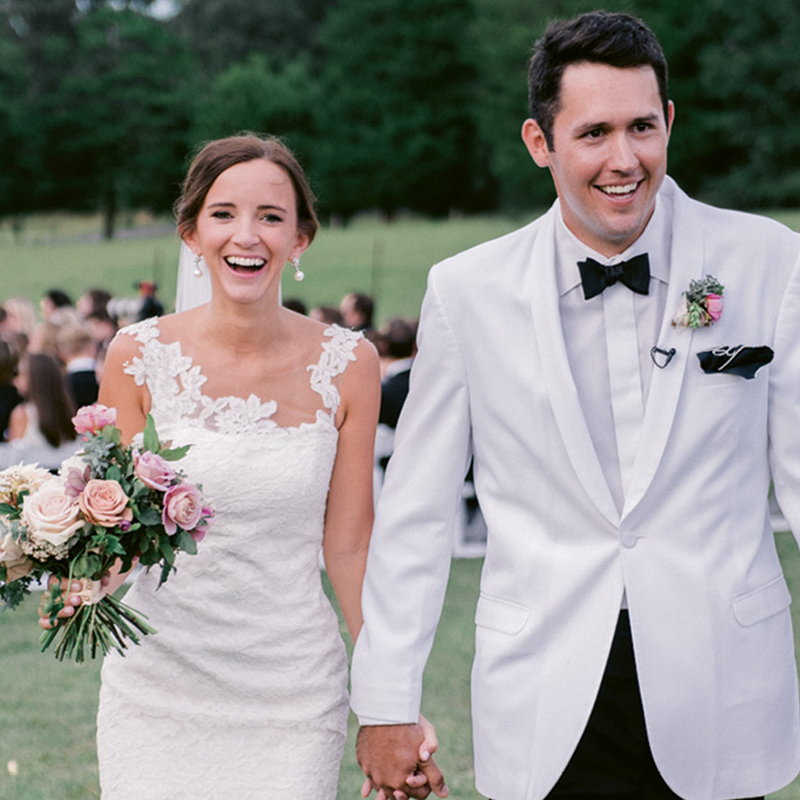 Although the wedding—held at Corbin’s farm in Powdersville, South Carolina—had to be moved up a day due to Hurricane Florence, 300 guests still made it to the outdoor celebration.